Tolkien, like a good poker player, kept his cards close to his chest, and gave very little away about the impact of experience upon his fiction. He could be less guarded in private, as Humphrey Carpenter revealed in his 1977 J.R.R. Tolkien: A Biography, in which he quoted Tolkien saying that Sam Gamgee was partly inspired by soldiers he had known in the First World War. The precise source of the quotation has always been a mystery—a frustration to later writers on Tolkien, like myself, who like precision and context. Was it from some unpublished and unknown set of autobiographical notes—if indeed Tolkien ever wrote such a thing? We could only ponder. However, now we see Tolkien making a near-identical statement in reply to a fan of The Lord of the Rings. The letter, written on 16 April 1956 to H. Cotton Minchin, has gone up for auction, and it is indeed a pleasure to read—wide-ranging, ruminative, written in Tolkien’s distinctive voice and handwriting. It seems to have been known to Carpenter only in a draft version, from which he provided excerpts in The Letters of J.R.R. Tolkien. It seems a pity that more of it wasn’t used—it runs on for a further 1,100 words. It gives the extra dimension that in portraying Sam, Tolkien had also drawn on memories of lads from the rural outskirts of Birmingham, where he had lived between the ages of three and eight. This dovetails well with his statement elsewhere that the society of the Shire is “more or less a Warwickshire village of about the period of the Diamond Jubilee” (Letters p. 230)—that is, a village like Sarehole in 1897, Queen Victoria’s 60th year on the throne and Tolkien’s fifth on earth. Amid all Tolkien’s astonishing inventiveness, and alongside the vast knowledge of matters mythological and medieval that he poured into his legendarium, this is a point too easily overlooked: contemporary life, especially the life he knew in his formative years, was a powerful well-spring of creativity in The Lord of the Rings. Tolkien’s comment to Minchin also provides support for a point I have made in various talks on how the Great War shaped The Lord of the Rings. 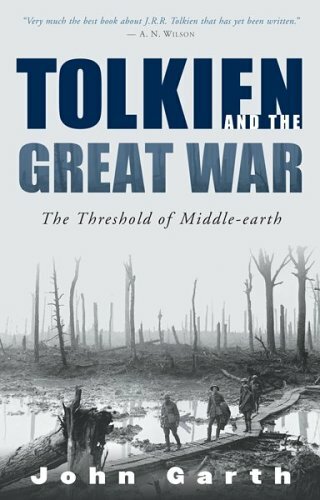 By silently linking his hobbits with the boys of 1901, who had grown into the young men of 1914, Tolkien was able to draw directly upon the war into which he and those men were then hurled. He had seen, and felt, how war could change those who went through it. Many of the dangers he describes in The Lord of the Rings may be fantastical, though many are not and others are only symbolically so. But the fear, the resourcefulness, the demoralisation, the courage, the sorrow, the innocent laughter in the face of dreadful odds: all these things he had known, and he infused his fiction with them. This, and memories of those rural roots, bring the hobbits vividly to life. A further detail in the Minchin letter is that Tolkien refers to “my batmen”, rather than simply “the batmen” as in the Carpenter quote. I take this to mean that Tolkien had exclusive use of a batman, rather than being just one of several officers pooling the batman’s services — a point of ambiguity in the papers kept by Tolkien that I have seen. Furthermore, the Minchin letter shows Tolkien had more than one batman. That doesn’t mean he had a whole team ministering to his needs, but that for some reason his batman was replaced at least once. Perhaps this isn’t surprising: Tolkien was attached to four different units— the 13th Lancashire Fusiliers, his training battalion in 1915–16; the 11th Lancashire Fusiliers, the battalion he served with on the Somme in 1916; and the 3rd Lancashire Fusiliers and the 9th Royal Defence Corps, with which he guarded the Yorkshire coast in 1917–18. It seems highly unlikely that the same batman would have stayed with him during these reassignments, particularly the later ones, which were prompted by his chronic ill-health after the Somme. There is an alternative or additional possibility: that one or more of the batmen assigned to Tolkien were incapacitated themselves by illness, or were wounded or killed. By then, the hierarchy is largely inverted. Frodo moves towards a childlike dependency: he presents the problems, Sam the solutions. In the First World War this process was far from atypical. Officers were given commissions for class reasons, not because they were experienced soldiers or leaders; whereas the privates and batmen often had the age, experience, and wisdom their official superiors lacked. C.S. Lewis, for example, had played Frodo to his sergeant’s Sam. “I came to pity and reverence the ordinary man: particularly dear Sergeant Ayres,” Lewis recalled. “I was a futile officer (they gave commissions too easily then), a puppet moved about by him, and he turned this ridiculous and painful relation into something beautiful, became to me almost like a father” [Surprised by Joy]. I would like to know more about Minchin. He was Captain Humphrey Cotton Minchin, and had edited The Legion Book, a 1929 anthology of writings and art from contributors including Edmund Blunden (who had fought like Tolkien in Thiepval Wood on the Somme), Rudyard Kipling, Winston Churchill, and the Great War artist Paul Nash. The book, in a strictly limited edition, had been commissioned by the Prince of Wales, later King Edward VIII (the abdicator), to raise funds for the British Legion. I suspect that Minchin had served in the First World War too. At any rate, it appears from Tolkien’s letter that Minchin had recognised something of the Great War batman in Sam Gamgee. Tolkien’s letter to Minchin may make more at auction than Minchin’s book made in sales (it was sold for $31,250 at Sotheby’s less than a year ago). From a biographical viewpoint, the letter is particularly valuable because it captures Tolkien at the point when he was just realising, to his astonishment, that the legendarium he had worked on for 42 years was no longer necessarily a private pursuit, but was a matter of consuming interest to others. He welcomes letters from readers (rather different from most of those he would have received when he was largely known only for The Hobbit) and he notes how his fellow academics at Oxford have been “scandalized by my disgraceful excursion into ‘literature’”—when he ought to have been fulfilling his professional duties as a philologist. He complains about the cut the Treasury will take in taxes from the income generated by a book that had taken 18 years to write; and he describes The Hobbit as “a war casualty”—the remaining copies of the superior second impression having been destroyed in a fire during a German bombing raid. Leaving authorial gripes behind, he exercises his linguistic expertise on the surname Minchin. 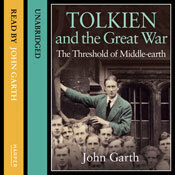 You can read a full transcription of Tolkien’s letter to Minchin here. *“Frodo and the Great War”, in The Lord of the Rings, 1954–2004: Scholarship in Honor of Richard E. Blackwelder, ed. Wayne G. Hammond and Christina Scull (Milwaukee: Marquette University Press, 2006). 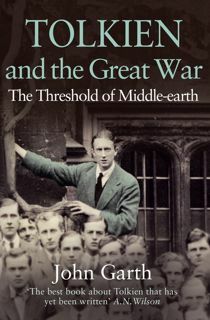 This entry was posted in 100 years of Middle-earth, Tolkien in the First World War, Tolkien’s creative spirit and tagged First World War, Middle-earth, The Lord of the Rings, Tolkien's life, Tolkien's writing. Bookmark the permalink. Another piece of the letter that I find interesting in this context is Tolkien’s statement that “My use of _gamgee_ in assoc[iation]. with _cotton_, was like most of the Shire derived from childhood.” – the interesting part being of course that Tolkien derived “most of the Shire” from childhood memories, which of course fits very well with what you say above. Well spotted, Troels. Thank you for pointing it out. As was pointed out elsewhere in discussion of this post, it underlines the value of Hilary Tolkien’s brief reminiscences of the brothers’ childhood around Sarehole, and of the make-believe world they appear to have shared — edited by Angela Gardner and published in “Black and White Ogre Country” (which I review here). Fantastic essay, John! Thanks for sharing this. I remember the Carpenter quote from the course I took on the Inklings, and I’m glad to see it in further context. Minchin HCM served in WW1, he was an officer of the CAmeronians Scottish Rifles and then in the RFC royal flying corps , I found your post by chance!